TULCA is pleased to announce that Kerry Guinan has been appointed as the curator of the 17th edition of TULCA Festival of Visual Arts in 2019. 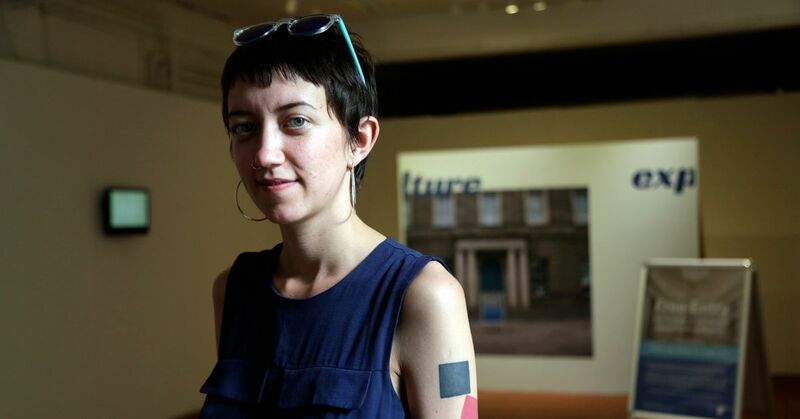 Monday April 7th 2019: TULCA is pleased to announce that Kerry Guinan has been appointed as the curator of the 17th edition of TULCA Festival of Visual Arts in 2019. This year’s Festival which will run in Galway during the month of November will be titled Tactical Magic and ask the question of the audience ‘is art magical’? Kerry Guinan is an artist, researcher and curator based between Limerick and Dublin. The exhibition will explore the question why are most prehistoric cave paintings to be found in the darkest corners of caves, where they could not be seen by inhabitants? The archaeological explanation for this phenomenon is that the paintings had a magical, rather than decorative, purpose. By painting a beast on a wall it was believed that the prey would come to life. TACTICAL MAGIC sets out to explore whether art can still be considered magical in this sense. Selected artworks and events will testify to art’s ability to build, bend, and transform our experience of reality. As a festival, TACTICAL MAGICfinds its appropriate setting against the magical backdrop of the West of Ireland, during a time of secularisation in Ireland. It asks us to retain a respect for magical thinking in a society that is increasingly prioritising rationalist, economic interests above human curiosity, intuition and creativity. Kerry Guinan is an artist, researcher, and curator, she holds a BA in Fine Art & Art History from the National College of Art & Design, 2014. As an artist, Guinan performs ambitious interventions to examine the sociological function of art in the contemporary. These interventions take place both inside and outside the gallery context in a range of private and public spaces. TULCA is now accepting submissions for its open call, the deadline is May 6th for further Open Submission details please go to www.tulcafestival.com. The TULCA Festival of Visual Arts runs in Galway from November 1st – 17th, at various locations around Galway.